In an effort to help Sri Lanka move away from fossil fuels and accelerate the adoption of clean, renewable energy alternatives, the German Federal Foreign Office is collaborating once again with Sri Lanka’s Ministry of Power, Energy and Business Development to launch the Green Energy Champion (GEC) initiative for the third successive year. 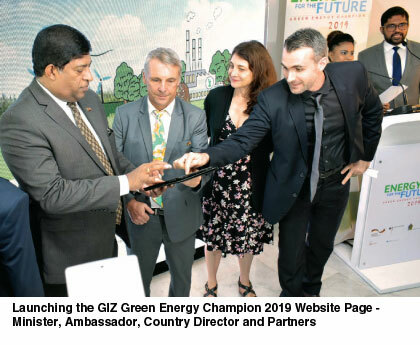 This initiative is being implemented by Deutsche Gesellschaftfür Internationale Zusammenarbeit (GIZ) GmbH and the Sri Lanka Sustainable Energy Authority. Green Energy Champion Sri Lanka is a renewables education and encouragement platform which has several activities. The main programme is a contest that seeks to help stimulate and generate proposals from among the public and private sectors and civil society organisations to conceptualise, present and win funds to implement innovative projects involving renewable energy. 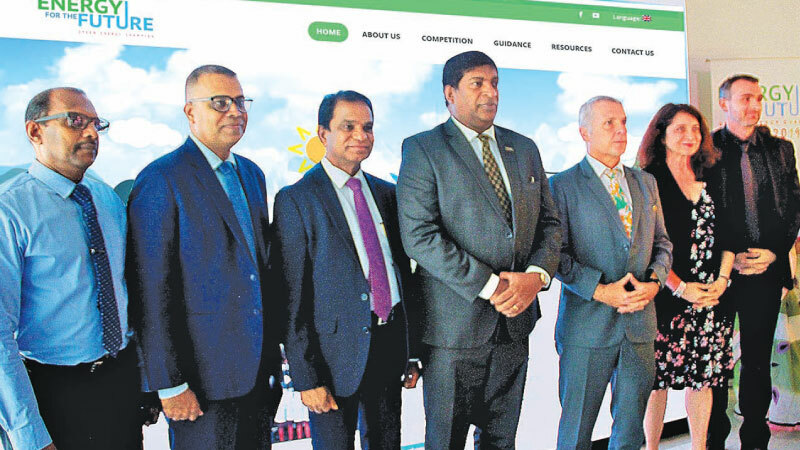 The GEC 2019 initiative was launched on the 28th of January at the German Embassy and was graced by Ravi Karunanayake, Minister of Power, Energy and Business Development, and the Ambassador of the Federal Republic of Germany to Sri Lanka and the Maldives, Jörn Rohde.The event was attended by several project partners including Janathakshan (Pvt) Ltd and the Sri Lanka Sustainable Energy Authority (SLSEA). “Since we started the media campaign, we have reached more than 4.3 million people.Kindly help us to spread the word about the competition and identify another landmark examples in renewable energy and energy efficiency”GIZ Country Director, Ms. Randa Kourieh-Ranarivelo requested from the media seeking their support to publicise the contest. In 2017, the competition drew 80 applicants and the Sri Lanka Institute of Development Administration (SLIDA) emerged victorious for their proposal on solar power and energy efficiency,with the Diyagala Boys Town (DBT) project of the State Ministry of Science, Technology and Research, and Municipal Council Batticaloa finishing second and third respectively. This year, the initiative invites proposals from schools, public sector entities, private sector companies including small and medium enterprises (SMEs), and non-governmental organisations (NGOs) and community-based organisations (CBOs).The contest rules and entry forms could be downloaded from the GEC website http://greenenergychampion.lk and the deadline for receiving proposals is April 30. Nine promising ideas will be shortlisted for a workshop session to further fine-tune the ideas and presentations with experts providing technical feedback. By the end of the workshop, submitted proposals will be assessed by a jury panel comprising of representatives of the German Embassy, Ministry of Power, Energy and Business Development, Sri Lanka Sustainable Energy Authority and GIZ. Winners stand to receive awards from an allocation of LKR 12 million (approximately 60,000 EUR) to implement the project ideas starting June 2019.